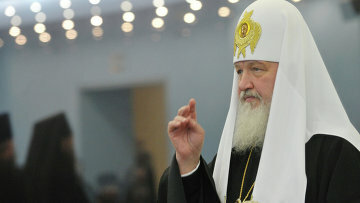 Head of Russian Orthodox Church Patriarch Kirill agreed that the state would allocate land for burying orphans, he announced in his report on Friday. The half a hectare of space will be allocated at Alabushevskoye Cemetery, one of Moscow’s new burial sites. The patriarch said at the moment all the details were being formalized. The patriarch announced it on the same day Russian President Vladimir Putin signed a law banning US citizens from adopting Russian orphans. As an alternative, the country plans to subsidize adoptive parents from Russia. With this in mind, he called on clerics to not violate traffic rules and practice “wise self-restraint” when choosing a car, RIA Novosti reported. The patriarch stressed that he used state cars and could not use any others. This year there have been several scandals when clergy in expensive cars caused accidents on the road, some of them were drunk behind the wheel.